Finally !! Contemporary Luxury home located in the beautiful community of Desert Crown. One of a kind custom design with soaring ceilings and walls of glass looking out to some of the best Mountain views of Pinnacle Peak, McDowells and city lights looking all the way Paradise Valley. 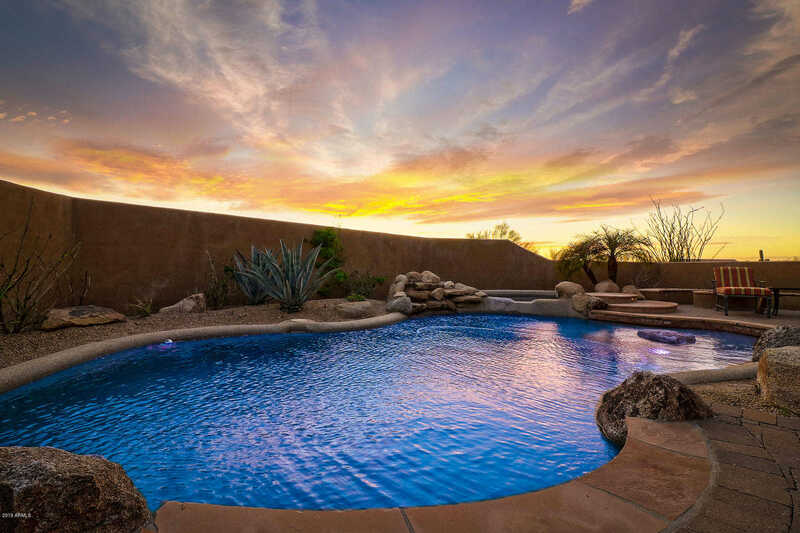 Just down the street from Scottsdale National Golf Resort, this location is one of the best upcoming areas for the future.This amazing home built into the boulders and has its own private gate leading up to its own bridge crossing a wash and over 200 ft private driveway. This masterpiece sits on over two acres of serene and very private landscape. Here’s the best part, similar homes are over 2 million and this seller says ”we’re ready to downsize”. Directions: East to 114th St. North to Mark Lane. East to the property on the right. Approximate size: 94517.00 sq. ft. Please, send me more information on this property: MLS# 5911043 – $1,595,000 – 11501 E Mark Lane, Scottsdale, AZ 85262. I would like to schedule a showing appointment for this property: MLS# 5911043 – $1,595,000 – 11501 E Mark Lane, Scottsdale, AZ 85262.